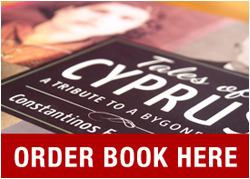 Dear Cypriots of Melbourne. I need your help. This Sunday afternoon (24/8/14) I am setting up a special scanning booth at Melbourne Polytechnic in Prahran. 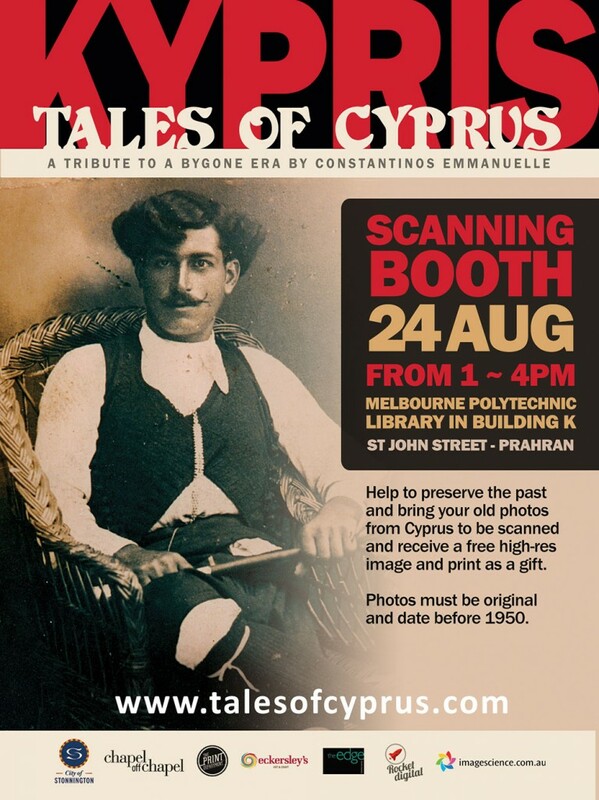 If you have any old family photos that were taken in Cyprus before 1950, please come and have them scanned with the intention of adding them to my Tales of Cyprus archive and exhibit later this year. In return, your family will receive full recognition as well as a high-resolution scan and digital print of your photo. Feel free to spread the word. The photos must be original (from Cyprus) and date before 1950. WHERE: Library – Building K – Melbourne Polytechnic, St John Street Prahran. WHEN: Sunday the 24th of August 2014 – between 1 – 4pm.